Tuesday March 22, 2011 – I don’t know if any of you know this about me but I used to be in nursing school. After my junior year I decided that nursing was not for me. I have a lot of admiration for nurses and all the hard work that they do. 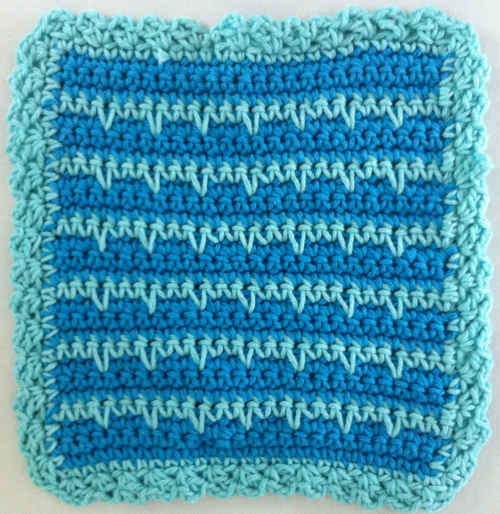 This dishcloth reminds me of the EKG strips we used to mount in the doctor’s office I used to work in. 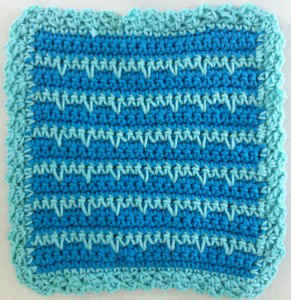 Long Single Crochet (long-sc): Skip previous row, insert hook in sc in next row, pull up long lp, yo, draw through both lps on hook. Rows 8-27: Rep Rows 4-7 five times. Rnd 1: With right side facing, join Light Blue with sc to first sc, 2 sc in same sc, (sc in next sc) across to last sc, 3 sc in last sc; * working in sides of rows, evenly sc across *; working in unused lps of starting ch, 3 sc in first ch, (sc in next ch) across to last ch, 3 sc in last ch; rep from * to *; join with sl st to first sc. Rnd 2: Ch 1, sc, ch 2, dc in same st as joining, skip next sc, * (sc, ch 2, dc) in next sc, skip next sc *; rep from * to * around; join. Finish off and weave in ends. I found a bit of a problem with the instructions on this one. 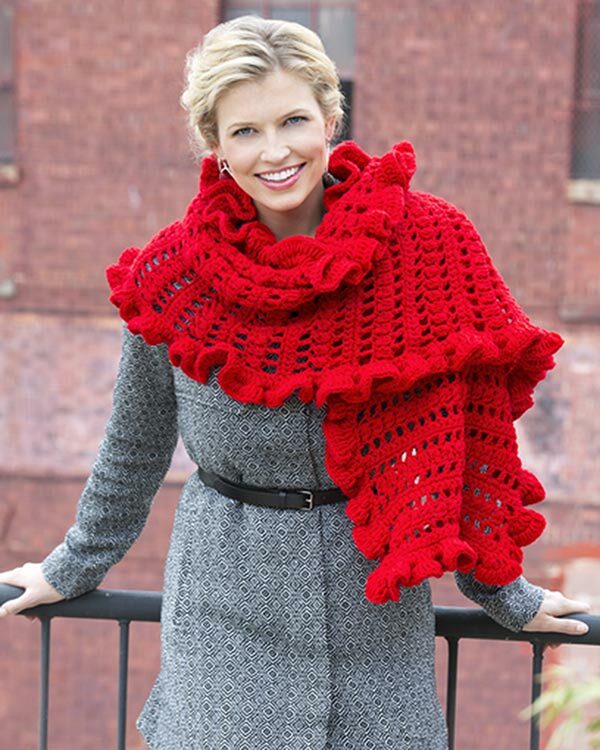 It does not specify to end off colors and weave in the ends.